Fresh berries are making their way back into the markets, and we know exactly what you should do with the little blue variety… Make these blueberry scones with lemon glaze. Perfect for breakfast, a snack or even dessert, these homemade scones are just what you've been waiting for. 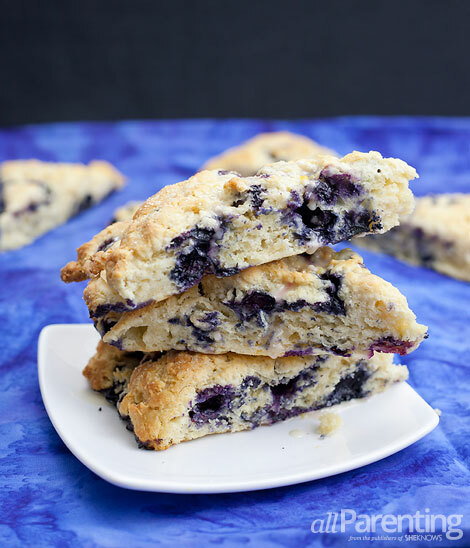 Day or night, you're in for a real treat with these homemade blueberry scones with lemon glaze. Best enjoyed straight out of the oven, they won't last long in the house. 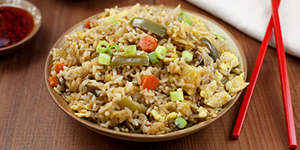 Combine flour, sugar, baking powder, salt and in a medium mixing bowl and stir. Add heavy cream and milk and stir until combined. Add the blueberries and give the dough a quick stir or 2 to mix in the blueberries. Form the dough into a ball and transfer to a floured surface. Bake for 45 to 50 minutes, or until golden brown on the outside and the center of the scones is thoroughly cooked. 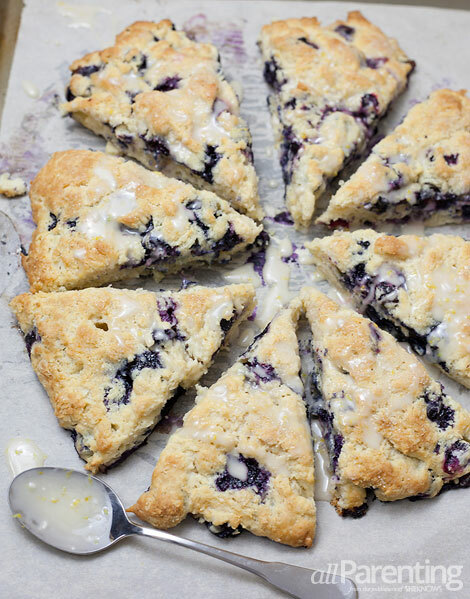 After removing the blueberry scones from the oven, let them cool while you make the lemon glaze. To make the glaze, combine powdered sugar, lemon zest and lemon juice in a small bowl and whisk to combine. Top scones with the lemon glaze before serving and enjoy! ^ Want to try a different type of scone? Check out these Meyer lemon scones with lavender Devonshire cream.